The study of invasion patterns across multiple spatial scales brings insight about the spread of exotic species in novel habitats. We examined the spatial patterns of yellow mouse-ear hawkweed (Hieracium pilosella L.), a recognized invader plant in Tierra del Fuego rangelands, at the scales of landscape and vegetation stand to assess the roles of disturbance, propagule pressure and biotic drivers. We surveyed twenty plots along two transects (ca. 20 km) across paddocks with different disturbance history (degraded pastures vs. natural communities) and at increasing distances from invasion hotspots. We analyzed the patterns of density, cover, and size structure of local H. pilosella populations across the landscape scale, and we conducted point- and mark-pattern analyses of distribution of patches of this species within vegetation stands. At landscape scale, the hawkweed density and cover decreased from west to east only in the transect including degraded pastures in the western portion. Plots located within 7 km or less from degraded pastures exhibited higher cover of H. pilosella (5–10%) than plots farther away (< 0.1%). Local populations inside or near the degraded pastures exhibited higher frequency of large patches than populations located farther away. 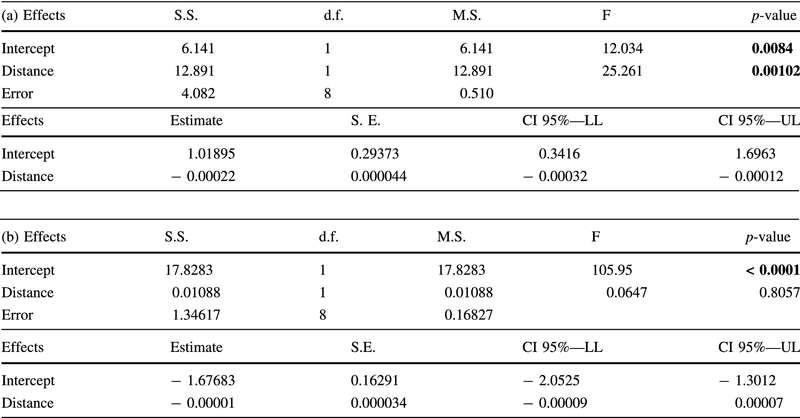 At the scale of vegetation stand, point-pattern analysis detected aggregation of H. pilosella patches at short distances (0.5–3 m) in most plots; whereas, in highly infested plots, mark-correlation function analysis indicated a negative association between the sizes of patches located at short distances (0.5–1.5 m) from each other. 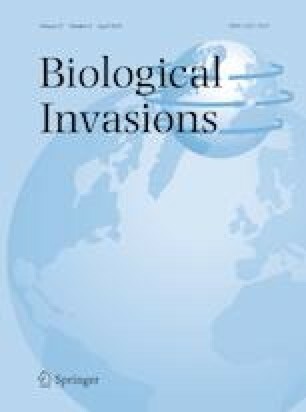 Human disturbance, propagule pressure originating in invasion hotspots, and long-distance dispersal events appear as determinants of the spread of H. pilosella invasion at landscape scale. At patch scale, field patterns suggest that local encroachment is mostly determined by vegetative growth and somehow limited by interference from large established hawkweed patches. Our results strongly suggest that, unless effective management actions are taken, over the near future (30–50 years) the exotic forb H. pilosella will continue to invade displacing the native shrub steppe and grassland vegetation in the region. We thank to the owners of Cullen Ranch to permit conduct our field surveys in their property, particularly to the manager Mr. Errol O’Byrne for his hospitality and facilities to conduct the field surveys. We also thank to Maximiliano Sleiman and Carla Narbaiza, from the Natural Resources Secretariat of the Tierra del Fuego Province & AIAS (Argentina), for their field assistance to set preliminary plots, and to Vanina L. and Aldo Cipriotti for the assistance with the English writing. We thank to two anonymous reviewers that clearly improved our original version of manuscript with their constructive critics. The studies reported in this manuscript comply with the ethics guidelines and current laws of the Republic of Argentina. This work was supported by Grants from the Agencia Nacional de Promoción Científica y Tecnológica (PICT 2010—0474 and PICT 2014–0852) and MINCYT-DAAD (DA/11/03).